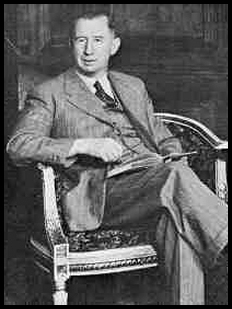 On one fine early June day, Nevil Shute took a boat ride and walked on the beach. the fact that the boat ride was across the English Channel, the beach was in Normandy and the year was 1944 makes his account much more interesting. My journey to Couseulles began at the Royal Aircraft Establishment at Farnborough in England, curiously for naval officer. My job is to produce experimental weapons for the changing needs of war; I have sat for four years in an office in the Admiralty with occasional trips to sea to see my things go wrong. Because I have been tired and weary with this work, from time to time I have amused myself by writing fictional romances in my bedroom in the evenings, and these stories have pleased others besides me. In the spring of 1944 I found myself carrying on two jobs at the same time, producing weapons for the war in the Far East and writing articles about the war in the Near West. I was at Farnborough on Thursday June 1st watching a trial of a difficult gadget when the summons came. It came as a telephone call from Admiralty to report next morning with all equipment and two blankets. I had to hop around, for though I had been waiting for this call you cannot carry on an engineering job burdened with revolver and tin hat, Leica and gasproof clothing, let alone two blankets, and I was far from my equipment. But I got to London that night and slept at my club and at 0915 next morning I was in the Admiralty for a briefing with the other correspondents - if other is the right word. I have never been very clear about my own position. I went to Courseulles as a naval officer with no duty but to write what and when I chose, and with no responsibilities. Looking back upon it now, it was the perfect assignment. The briefing room was packed with people, most of them British, American, and Canadian war correspondents, and many photographers. I have been told that in all three hundred correspondents and photographers went on this operation, counting both the Eastern and the Western Task Forces together. This briefing concerned the Eastern Task Force; I should think there were nearly half that number in the room. We were not told very much that was of interest to the enemy in that briefing. The two commanders RN who conducted it told us the composition of the Eastern Task Force in its subdivision in to three assault forces and one follow-up force. We were told that the percentage by numbers of the ships in the operation would be 60% British and 40% U.S., and that of the larger ships 75% would be British. We were told that there would be over 4,000 ships in the operation, of a size to get there under their own power. We were told that in the warships of the bombarding force over six hundred guns of calibres from four inch to sixteen inch would be engaged, and that at the assault over 2,000 tons of shells would be deposited in ten minutes - a figure which would have been more impressive, or less, if the briefers had indicated the length of the front. We were not - repeat not, in the parlance of a naval signal - told where the assault would take place, or when. But in conclusion we were told a saying of a British Admiral, Admiral Creasy, which I think deserves to go on record. "What Phillip of Spain failed to do, what Napoleon tried and failed to do, what Hitler never had the courage to do, we are about to do." For my own sake, I very much hoped we were. We were then told our allocations. Most of the party were to go in motor coaches to the Solent district to embark in various craft. I was detailed to go to Southend, at the mouth the Thames, to be embarked in Force L, the follow-up force to Force J. I was disappointed in this, since I had worked with Force J upon exercises and I had applied for permission to go with them for the assault in an LCT carrying Priests. Instead of that I was to sail in an LST of the follow-up force, reaching the beach nine hours after the assault. One cannot argue at a time like that and I consoled myself with the reflection that I should be a darn sight safer. And here seems the right place to set down what I personally thought about the chances of this venture. I had attended most of the invasion exercises during the spring and early summer. I had worked upon many of the weapons that were to be used, over the last two years. I had watched the practice assaults from the beach. I had talked to a great number of people, on the staffs of the assaulting forces, in the assaulting fleets, and at the Admiralty. I had formed the opinion that one half of the beach assaults would probably be successful, that the assaulting troops would get ashore there and establish themselves half a mile inland. The other half, I thought, would be defeats. I thought that the Germans would retain sufficient fire power after the bombardment, on half the beaches, to sink all the craft and tanks as they approached the shore, to destroy the wading tanks and bulldozers as they landed to remove the beach obstacles. I thought that we should be defeated upon half the beaches. I did not think that these defeats would be very costly in lives. Defeat upon a beach could be secured if, say, ten of the swimming tanks and twenty of the approaching LCTs carrying work vehicles were knocked out, I thought; after that, with the vital equipment lost, there would be no sense in flinging in the infantry for a blood bath. Defeat, I thought, would mean the loss of vital equipment more than men. I thought that we should have to switch around a good deal, and concentrate the landings at the beach-heads that had been successfully established, leaving the bad ones to be gradually absorbed by sideways fanning out. I have put down what I thought about the chances because I have found that that view was fairly widely held among responsible officers, and because it is of interest to put down what we thought we should be up against. In fact, I was quite wrong. The troops got ashore at every beach successfully. On some beaches the casualties were high; I heard of one Company of infantry, a hundred and fifty strong, in which all but forty were killed or wounded. In general the casualties were much lower than this. One war correspondent was allocated to the follow-up force with me, Mr John Marshall of the London Evening News. He was put in to my charge; as he had been briefed I was instructed, amid laughter, to take him to Southend and keep him sealed at both ends. This was grand, for travel in England is not pleasant in war time and we both had a good deal of gear. It was clearly impossible to let Mr Marshall travel in a public train after briefing, so I got an Admiralty car for him and we went down in comfort to Southend, that warm and sunny morning. At Southend we reported to the office of the Commodore in Charge and were passed to the office of the U.S. Navy next door, for the LSTs of the follow-up force that we were to sail in were ships or the United States Navy, loaded with British and Canadian Army personnel. From the office of the U.S. Navy we were sent to a hotel requisitioned as accommodation for naval officers. ; we were told that we should have to stay there several days before embarking. This seemed reasonable, because three hundred correspondents and photographers cannot disappear without provoking comment in press circles, and it was vital to maintain the secrecy of D-Day. That afternoon Captain J.D. Shaw of the U.S. Navy came over to see us to check our identity and give us our orders. I mention that courtesy, because it struck me at the time that a Post Captain on the busiest day of his career might well have sent for a war correspondent and a lieutenant commander to wait upon him in his office, as no doubt he would have done if had been U.S. citizens. I was allocated to his flagship and Marshall to another ship in the flotilla. He commanded a force of thirty two tank landing ships, big diesel engined vessels of about 4,500 tons. Half of this force was to sail with him arriving at H + 9 upon the beach, about five o'clock in the afternoon on the day of the assault; the remainder was to follow a few hours later. He told us that we were to embark next day at 1700. We spent the intervening time in strolling round, buying books and last requirements. I went to the sick bay and got a first field dressing for myself and one for Marshall. At 1700 we took all our gear down to the pier with the assistance of a couple of ratings, and embarked in an LCVP. for the LSTs at anchor in the stream. Landing Ships (Tanks) carry LCVP.s in their davits, Landing Craft, Vehicle, Personnel. These are biggish boats to go in davits. Square, beamy, with a ramp at the bow and powered with one diesel engine. The LSTs, although they are big ships, are known only by their numbers; they have no names. The desire to give a ship a name finds outlet in the LCVP.s carried at the davits; these are usually named by their crews, who are allowed to paint the name on them. Being American, these names have a freshness and originality strange to British naval eyes. The boat that bore me to the flagship was called DIRTIE GIRLIE. Most LSTs carry two LCVP.s in davits, but a proportion of them carry six. Six davit ships are mostly fitted as hospital ships; they carry tanks and vehicles to the beach and bring the wounded home. The tank dock is fitted with folding racks for stretchers at the sides, and with an operating table and the necessary equipment on a raised platform at the aft end. These ships can carry home four hundred wounded; they have a medical staff permanently on board of two RAMC surgeons and thirty sick bay personnel. If anchored off shore the six boats are available to bring the wounded to the ship, but the method that is now preferred is that DUKWs should bring the wounded down from the front line and swim out to the ships, drive up the ramp and right in to the ward, which is the tank deck. In this way the wounded get the minimum of handling and movement. The flagship was loaded to capacity. She had three Sherman tanks on the tank deck, equipped for clearing land mines, and a number of small scout cars. In all, upon her tank deck and her upper deck she carried seventy three vehicles, about a normal load for these ships. About two hundred and fifty men went with these, in addition to the thirty RAMC personnel. This made a crowded ship. The accommodation for officers is spacious and good provision has been made for the men. In this ship, however, with Captain Shaw and his staff we had thirty six officers in a ship that had a normal complement of nine. We caused the ship's officers much inconvenience, necessarily, sitting in their chairs, sleeping in their bunks, crowding them in every way. Instead of complaining as they might well have done, they could not do enough for us. They gave us little presents in their anxiety to help, which I found rather touching. One of then, just before I landed, gave me a little Gideon Bible inscribed 'from the boys of US Navy vessel LST... ' Which will stay with me for life. I learned our destination soon after I went aboard the flagship, for the army officers had all been briefed some days before, and they were sitting at the wardroom tables studying their maps. If you sit long enough at a map, they said, just smoking and talking about it with another officer, a time comes when you know it absolutely, when you can go about the country without looking at your map, as of you had been there before. They were doing this all day in the ship, just studying the map in quiet meditation, men in battledress. The beach that they were studying was opposite the little town of Courseulles-sur-Mer and the adjacent hamlet of Graye-sur-Mer on the other side of a little river called the Seulles; I leaned over their shoulders for a long time, studying it with them, Juno sector, beaches Mike and Nan. Juno meant that Force J was attacking there, that we were to follow up. They had two beaches evidently to assault, and that Mike and Nan had been chosen for their letters meant that there were many beaches to be tackled on D-Day. These beaches were subdivided, as is usual in to red, white, and green subdivisions according to the lights of a ship when heading in to the beach. Thus if on shore you asked where the Craft Recovery Unit, for example, was, you would be told, "Nan Green." I learned to my surprise, that Saturday evening, that D-Day was on Monday, and that we were to sail next morning at 0915. I had not thought that it would be so soon. That night I slept in comfort by the kindness of Captain Shaw, on a settee in his day cabin made up as a berth with sheets by a black steward. At six thirty next morning I was up and doing, because there were religious services on board at that time that I wanted to attend, Catholics in the tank deck and Protestants forward on the upper deck. It was queerly impressive on the upper deck, as such services always are. We stood grouped between the Bofors and the Oerlikon guns in the cold windy morning light; the young Canadian padre stood before the mass of scout cars, carriers and trucks behind him to the East. He made it short, with one or two very familiar hymns that all could join in, and a very simple short address. Then we broke up and I went back to Captain Shaw's day cabin to get my shaving gear. He told me that the operation was postponed for twenty four hours. A week later, when I was back in England I drove to the Force Headquarters at a secret place deep in the country and there learned the story of the postponement. Saturday June 3rd was a glorious day, with a light balmy wind, a high barometer and a cloudless sky. Everyone at headquarters was in high spirits, because the weather was the weak point of the whole operation; it could not be carried out in bad weather. That afternoon the three meteorologists at the Headquarters met in quiet conference together, the weight of the whole operation on their shoulders. At the end of their deliberations they went to the chief of staff, and said that the thing must be put off. All the ships were loaded, and all ready to start. The weather outside was glorious; lt took courage to believe these scientists when they said that in twenty four hours it would be blowing a gale. The Staff had that courage, and they put it off for twenty four hours. All Sunday morning the wind rose. The sky darkened , the sea rose, lt rained a little. At ten o'clock on Sunday night it was blowing Force 7 in the western English Channel, Force 5 in the Eastern part; it was considered that no landing craft could cross the channel in anything worse than Force 4. That night the meteorologists met again, and went together to the Chief Of Staff. They said "You may start. It's not perfect, but it will be good enough." Outside the wind was whistling round the old stone house, the tree tops in the park were whipping and bending in the gale, the rain driving on the windows. lt took courage to believe those scientists. The Staff had that courage, and we went. Great courage is a good and potent weapon. The Staff learned something from the German radio in the days that followed. Nobody but crazy lunatics like Eisenhower and Ramsay, goaded on by Jewish plutocrats and communists, said the Germans, would have risked their men by starting such an operation in such weather. It showed the said, how pathetically and grossly incompetent was the Anglo-American command. In fact, the Germans had withdrawn their entire E-boat and U-boat fleet to port on Sunday thinking that no operation could possibly begin in rough unsettled weather such as that. I sailed with Captain Shaw and his LSTs all Monday round the Foreland, through the Straits of Dover, down the South coast of England to the Wight, and across to Courseulles on the Tuesday. We saw no enemy. No German aircraft came to spy on us, that we knew of. We passed through Dover without being shelled; we saw no E-boats and no U-boats. We passed unscathed from London River to Courseulles in thirty six hours as if there was no war at all, save that we lost one LST that strayed from the swept channel in to a minefield. The Germans were taken completely by surprise. We waited, therefore, at our anchorage off Southend all day on Sunday. As everybody had been briefed there was, of course, no question of going on shore. A delay of this kind when everybody was keyed up for battle might have been most trying psychologically; on stage or film a situation such as that might well be made into a stark powerful drama of mental turmoil. In fact I did not see a sign of anything of the sort. The men, of all ranks were both sensible and tough, but I am inclined to put great emphasis on the calming effect of the food provided in this LST Not only was the food magnificent and ample, lt was also novel to most of the soldiers. A breakfast of a glass of orange juice, cereal with milk and sugar, buckwheat cakes and syrup with sausage and bacon, and unlimited bread and jam, was novel to the British soldiers and like a breath of home to the Canadians. It was something to talk about and think about, the food on that American ship. The men got exactly the same meals as the officers. I am sure that the magnificent food was a real factor in maintaining the morale of the men during the difficult hours and days before they landed to go in to battle. All Sunday the wind rose till by the evening boat work was becoming difficult. The anchorage was packed with shipping; there must have been fifty large ships lying off Southend that day. It seemed impossible that we should sail next day, and we turned in that night depressed, fully expecting that another postponement would come through during the night. Instead, when I turned out at six o'clock there was a light wind and a sunny morning. We had breakfast and got under way at 0915, as had been arranged. There was a touch of bathos in our going. The green pennant at the pier was flying, instructing us to proceed according to plan. We had the anchor short, the engines warmed and running, when at 0914 a signal lamp began to flash us from the pier. We read it, all keyed up, imagining it to be, perhaps, a farewell message from the King. It was a routine message, sent at the same time of day though empires rock and great fleets sail for an assault. "Send boats with containers for bread". We laughed, broke out the anchor, put on power, and went. We sailed in a convoy of about sixteen LSTs and a number of merchant ships; The remainder of the thirty two LSTs followed us a few hours later with another convoy from another port. We went anticipating trouble from the first hour. We thought that immediately we put our nose outside the London River we should be subjected to incessant air attacks; we thought that as the darkness fell that night we should be heavily attacked by E-boats. Nothing happened to us at all.